We have all asked ourselves at one time or another: Why am I alive? What is the purpose of my life? So when we ask, why are we alive, or what is our purpose? We assume there is a purpose for which a reason can be established and argued about! We assume there is an answer… We will investigate, what is behind such a question, and what Yoga has to offer as an answer. From there we are exploring what we can do to fulfill this ‘purpose’ of our lives so we can relax and be happy. The yogic practice of donation (dana / dakshina) is empowering you to decide how much to contribute in the balance of give and take of life. Hence participation is on donation basis. 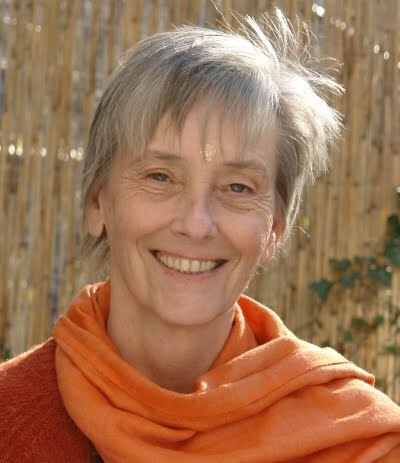 Swami Nityamuktananda Saraswati (Dr. Christa-Maria Herrmann) studied Theology, Education, Psychology, Philosophy and Art and Design (Ceramics) at various universities which was followed by extensive travel and study in Asia, Australia and America (Taoism, Zen and Tibetan Buddhism and various indigenous spiritual paths. Deep involvement in Meditation and working with great spiritual Masters , Zen-Masters, Siddhas, Lama and Tulku T.Y.S. Gangchen, the great Yogi Swami Maheshananda, H.H. Swami Anubhavananda (Supreme Acharya of Vedanta) and Mandeleshwara Swami Veda Bharati from the Himalayan Tradition. Her Doctorate is in Eco-philosophy: the Mahabhutas (Five Great Elements); she contributes world-wide in conferences and workshops on various aspects of "Yoga philosophy" and Meditation. In 1997 she received a 'World-Peace Prize' (LGWPF/ NGO of UN).